All event organizer from year to year wants to organize their own competition better and better. One of the most important thing is the timing system in every race. Without reliable and accurate timing system there is no qualitative event. We belive, our work contribute the sucesses of the racers. In case you interested in particular sport (cycling, running, swimming, multisport) event services, please choose from the icons above! We never timed 20.000 finisher on the same weekend. Agni-Timing grow up to the biggest road race running events. 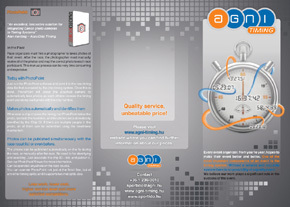 Agni-Timing Ltd. is currently one of the fastest growing RFID sport timing companies in Eastern Europe. Year by year we take on more and more events in race timing, thereby gaining much experience in sports event operation and timing services. We are pleased to declare that the Agni-Timing Ltd. became an international timing company by working on several abroad races such as Austria, Croatia, Serbia, Macedonia and more. Please do not hesitate to contact us for 2015 year timing services price offer. 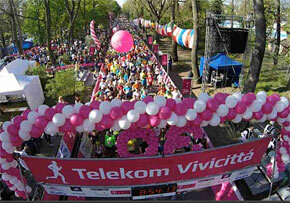 We have timed the Beograd Marathon with the disposable UHF bibtag. A new version of PhotoPoint Viewer is released as beta version, today.